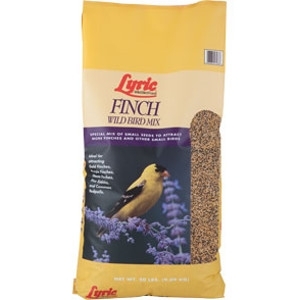 Lyric premium Finch Mix will keep finches coming back. 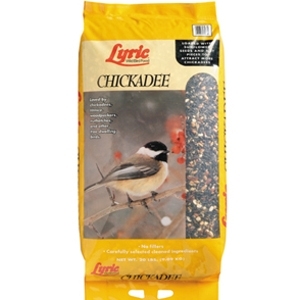 Lyric premium Chickadee Mix attracts more chickadees to your bird feeder. 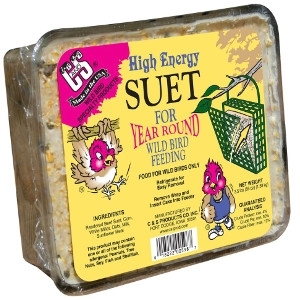 C&S Suet Delights are mixed into a soft dough texture, which is then pressed into cake form. 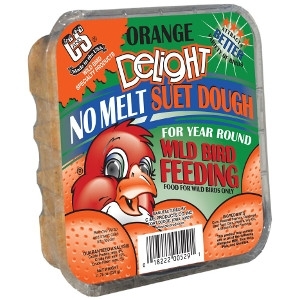 C&S’s process, unlike others who pour their dough products into a tray, creates the only true NO MELT bird suet product line in the world. 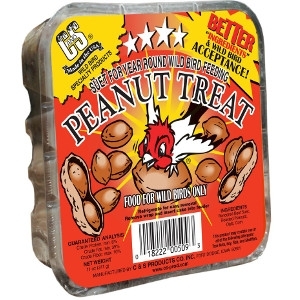 The base of corn meal, rendered beef suet and roasted peanuts, along with other quality fruits and ingredients, makes C&S Suet Delight products unmatched in the industry. 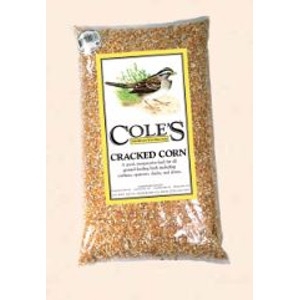 Cracked Corn is an inexpensive feed that appeals to a wide range of ground feeding birds such as cardinals, white-throated sparrows, towhees, ducks, and doves. 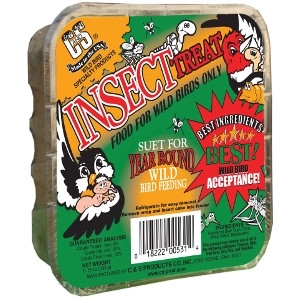 Even wild birds like a little Cajun spice now and then, so we’ve combined the fiery hot chilies of Hot MeatsTM with Safflower (a favorite of cardinals) to create a sure fire winner for all your chickadees, titmice, woodpeckers, bluebirds, and of course – cardinals. 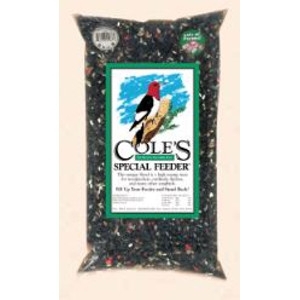 Provide a special oasis for your feathered friends to enjoy and get more birds at your feeder than ever before with Cole’s Cajun BlendTM. 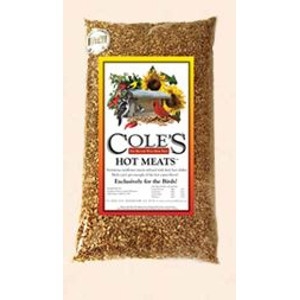 Nutritious sunflower meats infused with fiery hot habanero chilies, Hot Meats are a great no waste, no mess feed. Why do birds love the spicy flavor? 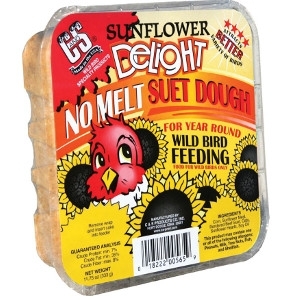 Sunflower Meats is the only true no waste, no mess feed available. This is pure sunflower and the birds’ number one choice. With almost no shell, you get more feed per pound and no messy hulls to clean up. It’s perfect if you want to feed from balconies and decks without the mess of leftover shells. 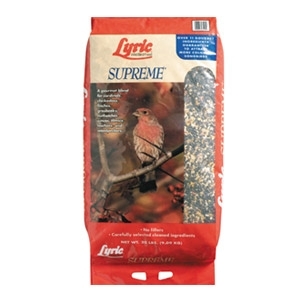 Lyric Supreme Mix, premium wild bird food helps you attract many birds! 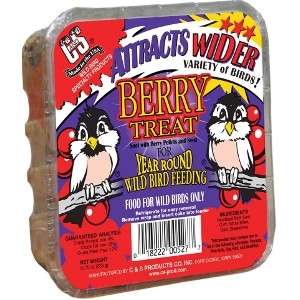 The excitement begins with a colorful variety of many birds dashing about as they savor the bird food you’ve provided. 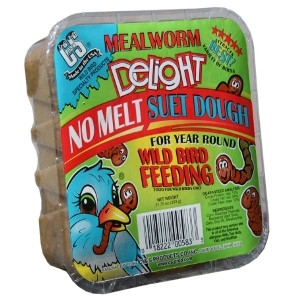 Success in attracting many birds depends greatly upon the bird feed mixture. 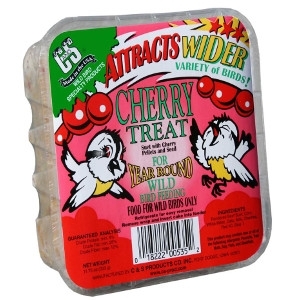 Premium quality ingredients tend to attract an assortment of birds. 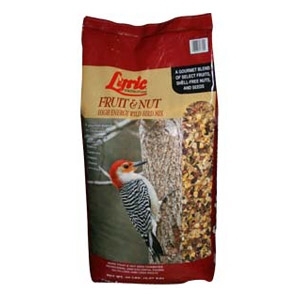 Lyric Supreme offers the very best gourmet ingredients plus an assortment of preferred bird seeds and tree nut pieces. 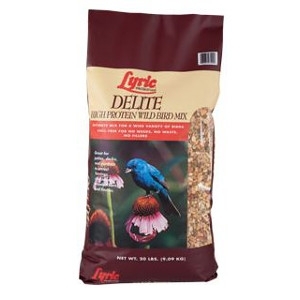 Lyric® Peanut Pieces are a perfect treat for your bird feeder. 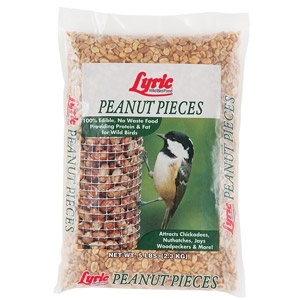 Arboreal wild birds such as titmice, nuthatches, jays, woodpeckers and chickadees love Lyric Peanut Pieces. Keep this food dry for best results. Peanut Pieces Ingredients: Shelled peanuts. 100% Edible Nutrition – No Waste, No Fillers, No Weeds. 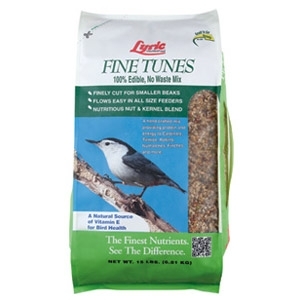 Lyric Fine Tunes is a 100% edible, no-waste bird feeding mix. 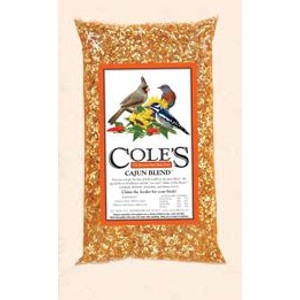 It is a nutritious blend of nuts and kernels, finely-cut for easier feeding and smoother flowing in bird feeders. 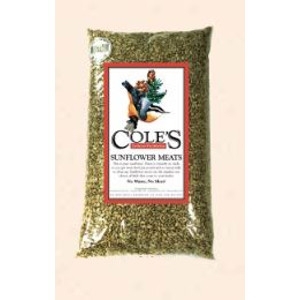 Our fine-cut mix is easier to use and easier to eat. 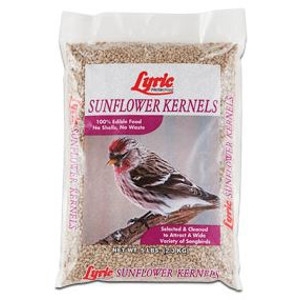 All shells and hulls are removed from Lyric Fine Tunes nuts and seeds and the mix contains no fillers. 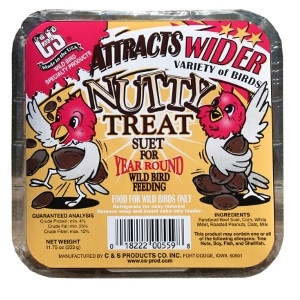 A high-energy wild bird mix featuring a gourmet blend of select fruits, shell-free nuts and seed. 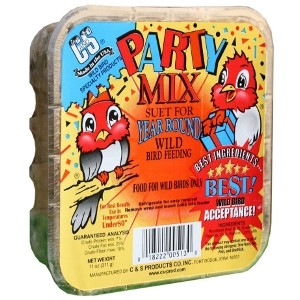 This premium mix is sure to attract a colorful array of birds to your bird house all year long!